Don't think for a moment that you need a new MacBook Pro to run your once speedy applications with new-found pep! 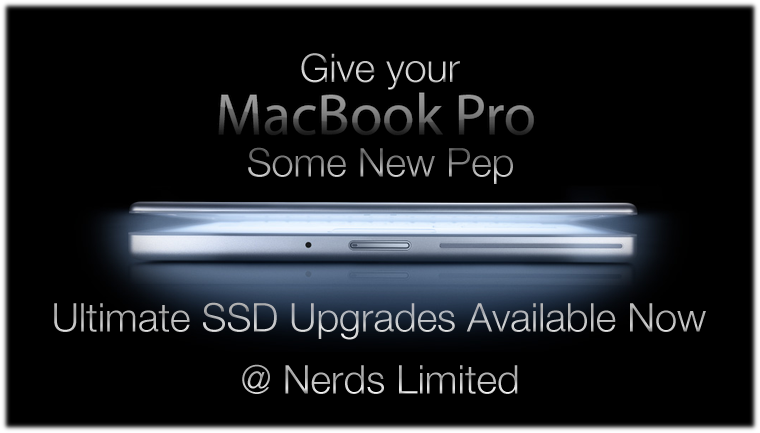 Recently, we've begun installing Intel SSD drives in MacBook Pros and the results have been unbelievable! 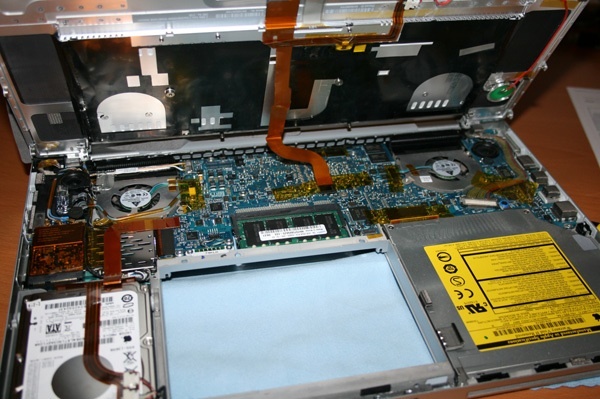 A typical SSD upgrade involves replacing the mechanical hard drive (HDD) with a faster SSD. While useful, the drawback to this approach is it sacrifices space for speed. Most semi-modern MacBooks have at least a 300+ GB hard drive. 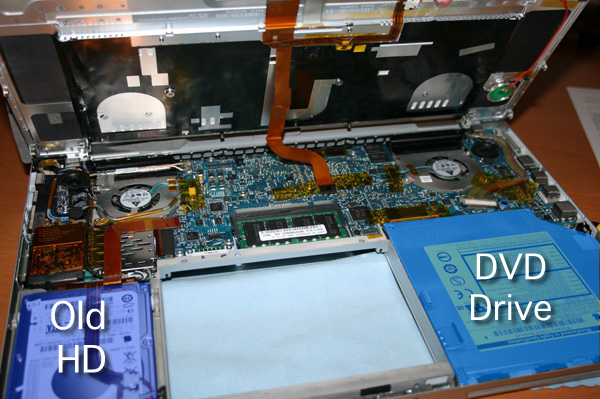 Getting a similarly sized drive can cost upwards of $400! That's not good planning! Since you already have a perfectly good hard drive for storage. The best approach is to replace the original hard drive with a SSD and then replace the DVD drive with the original full size drive. This approach gives you the best of both worlds: Speed & Storage Space! 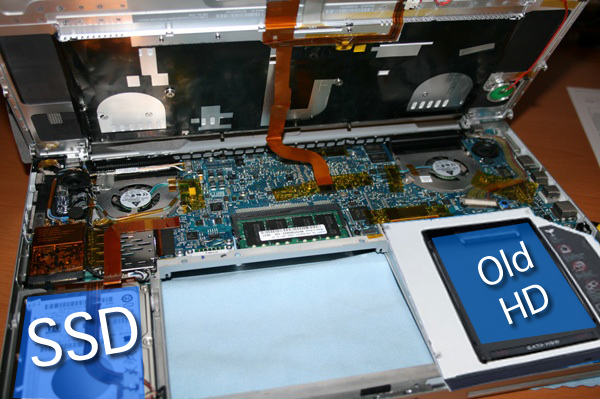 This video shows the first part of the step-by-step upgrade procedure for an SSD ultimate upgrade. The next step is a clean installation of the operating system on the SSD. Once Mac OS is stable and updated on the faster drive, the old OS is removed from the mechanical hard drive and you have a large disk drive for documents & media with a super fast Intel SSD for your operating system and apps! There is no faster, more cost-effective solution! Please call Nerds Limited with questions about an Ultimate Upgrade. 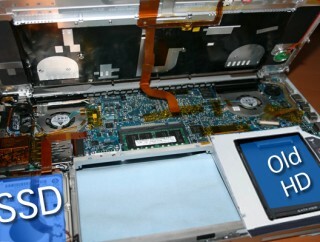 We've done plenty of these and can't wait to show you just how fast a 5-year-old computer can become with the magic of SSD!